Wet vs Dry Carpet Cleaning - Which is better? Which is Better – Wet or Dry Carpet Cleaning? The two primary ways that professional carpet cleaners will remove dirt and stains from carpets are through wet and dry carpet cleaning techniques. These both have similar outcomes and objectives, but they are accomplished in very different ways. We’re going to look at these two methods here and compare them. Then we’ll let you know which is the best one, so you can make the right choice for your carpets. This method is sometimes called steam cleaning, because of the steam that comes off the carpet during the cleaning process. For this cleaning measure, hot water is pumped onto the carpet with a powerful hose. This forces the water and the cleaning agents that are put into the water down into the carpet fibres. As the water rushes through the carpet, it pushes out the dirt and particles trapped in there. The cleaning agents are able to break up the stains and make them easy to remove. Once the carpet has been completely hosed down, the hot water is extracted the same way it came out. The carpet then needs some time to dry out completely before it can be used. Not as common, but similarly effective is dry carpet cleaning. This involves using dry chemicals that are applied to the carpet and sprayed with some water to help them react on the carpet. So in a sense it is not truly dry, but once the process is complete, the carpet is usable right away since it will be dry by that point. After the chemicals are applied, they are then vacuumed up and pile lifted. 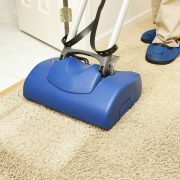 This removes all the chemicals from the carpet and gets rid of the dirt that was loosed by the cleaning process. Now you’ve seen how these two methods work, lets compare and contrast them. The hot water extraction carpet cleaning process tends to provide a more thorough cleaning. It is able to get down deep in the carpet where the dry method cannot. But on the downside, it can take much longer for the carpet to be useable, sometimes as long as several days. The dry cleaning method is very effective, and it may actually be better at getting rid of certain stains, but it can also cause damage to the carpet and the environment. The chemicals that it uses to clean with are often very harsh and can be unsafe to be in close proximity to. The wet cleaning method is preferred by most professional carpet cleaning companies. They know it is better for the environment and the carpet. While it can cause some temporary inconvenience, it is certainly better over the long term. 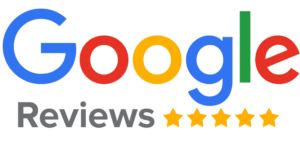 Find how much carpet cleaning services cost.